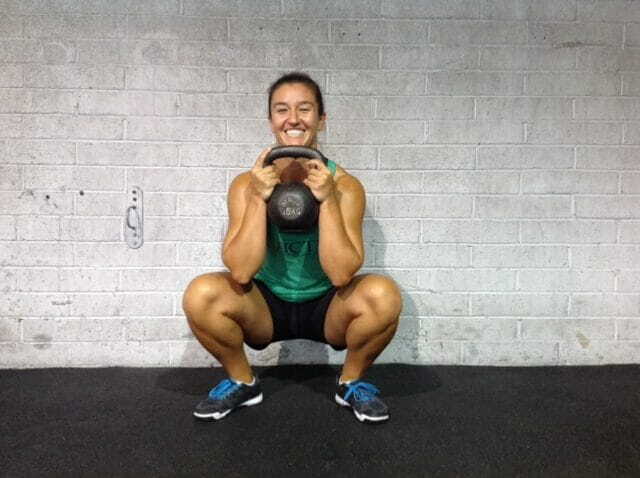 The Front Squat movement forms the base for many other exercises in Crossfit such as Cleans, Thrusters and Wall Balls. Perfect your technique, get stronger and improve your WOD times and PRs! The rack position is the source of much pain and frustration for many athletes. The inability to get into a good rack position affects your ability to effectively press, push-press, or jerk a barbell overhead. You’ll also be far less effective in your front squats and, of course, your cleans. This is usually caused by some tight muscles throughout your upper body such as the latissimus dorsi, teres major, posterior deltoid, and triceps. Front Squats are generally deeper than Back Squats. When a barbell is loaded onto the front of the body, the pelvis tilts backwards somewhat, which makes the hamstrings less taut. This gives them the freedom to allow a greater range of motion (ROM) at the bottom of the lift. This pelvic tilt also allows the lower abs to contribute to the lift more, and takes the hip flexors away from “blocking” the movement. 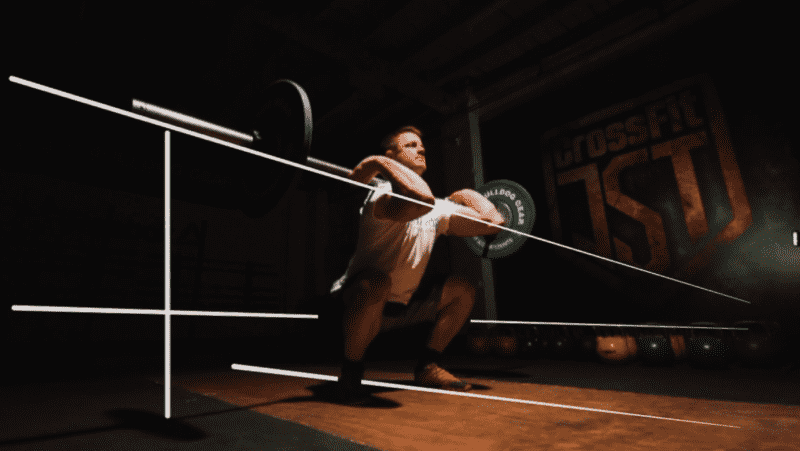 Stance width when front squatting is relatively narrow and as such, you won’t need a ton of toe flare here, just to have enough toe flare to ensure that the foot, knees and hips are in a straight line when set-up. Moreover, make sure that your centre of gravity is where you want it as well. Weightlifting may be the only sport on the face of the planet where being on your midfoot and/or heels is preferred and beneficial. Make sure that your weight is directly over your midfoot, if not shifted back towards the heels slightly. Because the front squat does not allow you to lean forward, you cannot use your lower back strength to take over during the lift. It forces you to squat with the knees forward, loading up the pressure on the quads. Grip a kettlebell or dumbbell underneath one end and hold at chest height. Keeping the chest tall and abs braced, descend by breaking at the hip and knee until the proper depth is achieved. Extend the hip and knee, returning to a full standing position. Rounded shoulders, (like you get from sitting in the office the whole day) cause our pec minor and major to become shortened and tight. Meanwhile, muscles like our traps, rhomboids, lats, and rear deltoids lengthen and weaken. Hence the Quasimodo-like posture. To preserve the upright posture needed to front squat you need good thoracic mobility. This will affect your overall chest and back strength, not to mention improve your posture. Improving your thoracic mobility can be done every day with a few stretches. You can add them into your workout warm-up or your morning routine. Check out this article on Ankle Mobility for more tips and exercises that will help you to improve. Front Squatting will make your Cleans STRONG! As you’re squatting, the goal is to keep the spine neutral throughout. And neutral means neutral – you don’t want to be hyper-extended through the lower back, and you don’t want to be flexed, either. The more upright you can get your upper back the less the bar will pull you forward, minimizing the work your upper back will need to do and maximizing the ability of your lower body to produce force. 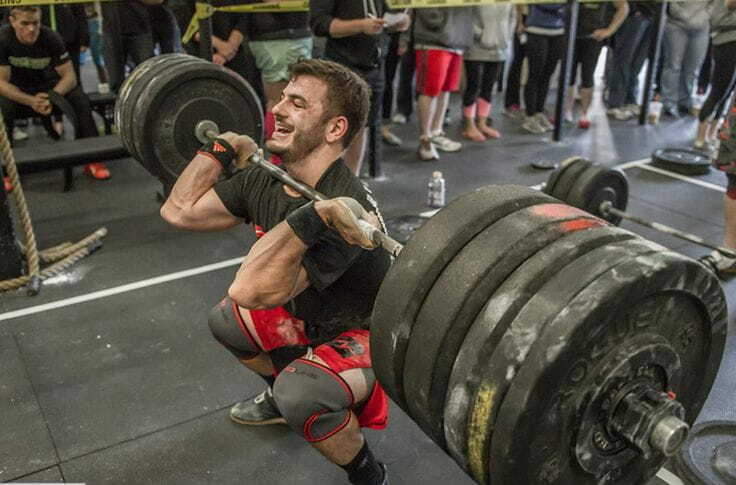 The nice thing about front squatting is that it’s far harder to ruin than a back squat. If you have a good set-up, you can often maintain a good position throughout. Great to stretch and activate your Lats, your triceps and your shoulder flexion ROM. As described, this will straighten you up again. What? Thought it was all about Front Squats? True, and those won´t work without core stability. And is there a better exercise than a plank? Build pressure in your Body and control yourself through breathing. Even if the Front Squat almost forces you to squat with a straight back, you should watch your bottom in the deepest position. The Front Squat is a vitally important lift that forms the basis for many other exercises and movements within Crossfit. 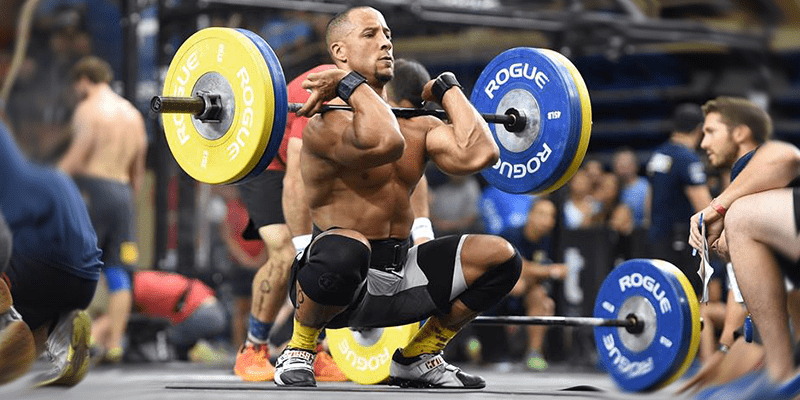 Once you have established good technique and the necessary mobility, increasing your PRs on this lift will help you to benefit in many other areas.